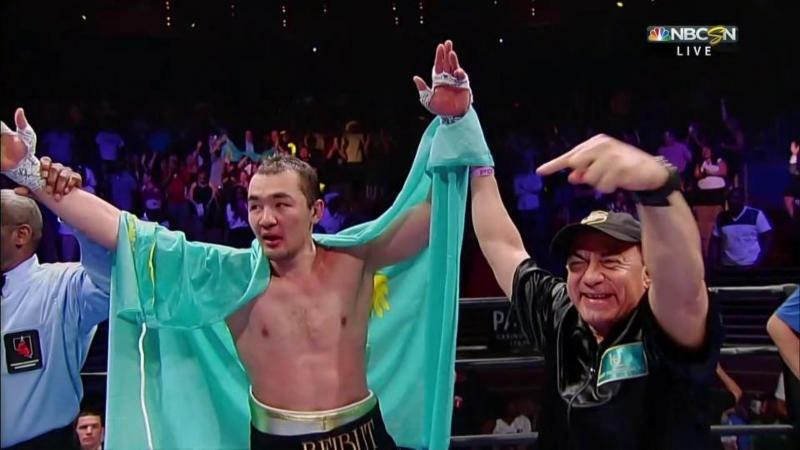 LAS VEGAS (Aug. 3, 2015) – Newly crowned World Boxing Association (WBA) Interim cruiserweight champion Beibut Shumenov (16-2, 10 KOs) recently made history once again, defeating B.J. Flores (31-2-1, 20 KOs) by way of a 12-round unanimous decision as Premier Boxing Champions series headliner, which aired July 25th on NBCSN live from The Palms in Las Vegas. Shumenov, 31, became the mandatory challenger for WBA “regular” cruiserweight champion Denis Lebedev (27-1, 20 KOs, 1 NC), of Russia, as well as the first Kazakhstan native to capture a world title in two different weight classes having been the WBA light heavyweight champion from 2010-2014. Boxing hotbed Kazakhstan has produced five other world champions during the past quarter-century: 1990 WBC super featherweight Aratoly Alexandrov, 2000 WBC heavyweight Oleg “Big O” Maskaev, 2001-2003 – IBF cruiserweight Vassily “The Tiger” Jirov, 2010-2012 WBA super middleweight Dimitri Sartison and reigning WBA Super/WBC Interim middleweight Gennady Golovkin. In his fist historic fight back in 2010, Shumenov defeated defending WBA light heavyweight champion Gabriel Campillo viaa 12-round decision to establish the record for fewest-fights, 10, to become world champion of a major organization in the 175-pound division. Shumenov went through a style transformation, under the direction of famed Cuban head coach Ismael Salas, who worked with the athletic Kazakh to change him from an aggressive, grinding fighter into a more complete, all-around boxer. Shumenov baffled Flores, who expected Shumenov to come to him and exchange punches, which would have given the naturally bigger, stronger Flores an advantage. Instead, Shumenov masterfully boxed his way to victory, using lateral movement, angles and positioning to frustrate Flores into ineffective aggression, resulting in an array of off-balance punches and misses. Salas also trains World Boxing Council (WBC) World Lightweight Champion Jorge Linares (39-3, 26 KOs), in addition to handling past and present world champions such as Guillermo Rigondeaux, Yuriokis Gamboa, Danny Green, and Jesse Vargas. Shumenov is a lawyer and successful businessman who speaks five languages. Although he’s a two-time world champion, he’s still a student of boxing, and Salas is his highly respected professor. And the result was a second world title.